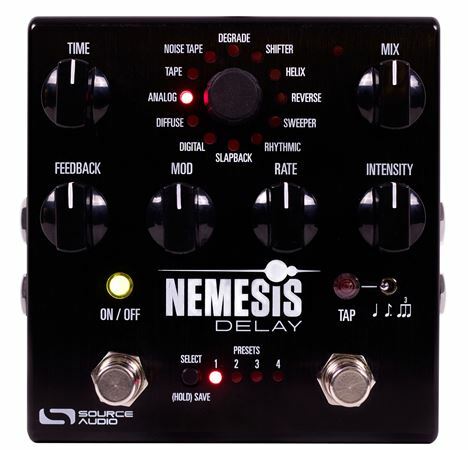 Order your Source Audio Nemesis Delay Pedal from AMS and enjoy 0% Interest Payment Plans, Free Shipping, Free Extended Warranty & 45 Day Money Back Guarantee. The Nemesis Delay is the culmination of three years of intense research, listening, and engineering. Nemesis offers 24 distinct effect engines ranging from vintage tape and analog delays to highly advanced pitch-shifting, reverse, filter modulating, and rhythmic delays. It also features 128 presets, multiple delay taps, a hold function, tap tempo, full MIDI control, deep editing functionality with the Neuro Mobile App, and much more. 24 Delay Engines: Nemesis features 12 onboard delay engines accessible via the center selector wheel, plus an additional 12 delays downloadable via the Neuro Mobile App. 128 Presets: Save up to eight presets accessible via the onboard controls or save up to 128 presets recallable with MIDI program change (PC) messages. Stereo Input and Output Jacks: Create dramatic stereo ping-pong delays, stereo phase inversion, or set up an external effects loops, pre or post delay. 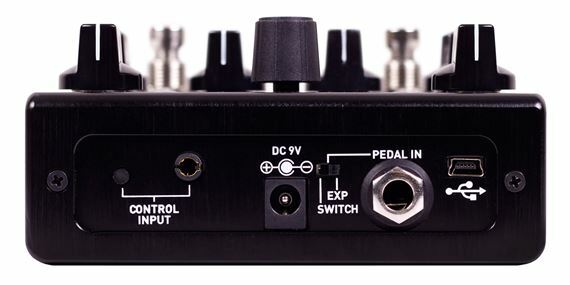 Tap Tempo: Tap in the delay time with the onboard tap tempo switch. Beat divisions include quarter notes, dotted eighth, and triplets. Hold (a.k.a. ‘Freeze’) Control: Use the tap tempo switch to freeze a small portion of the delay in a continuous loop. Deep Editing Functionality with the Neuro Mobile App: Adjust additional parameters, save and share personal presets, and download bonus delay engines with the Neuro Mobile App. (Check the Neuro tab for more details). Complete MIDI Functionally: Send MIDI program change (PC), continuous controller (CC), or MIDI clock messages via the 5-pin MIDI DIN Input (also includes a MIDI Thru jack) or the USB port. Universal Bypass: Select either analog buffered or relay based true bypass. 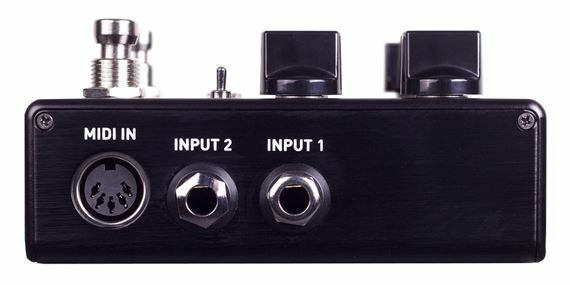 Expression Control: Assign expression control to any combination of knobs and program the depth and direction of each. 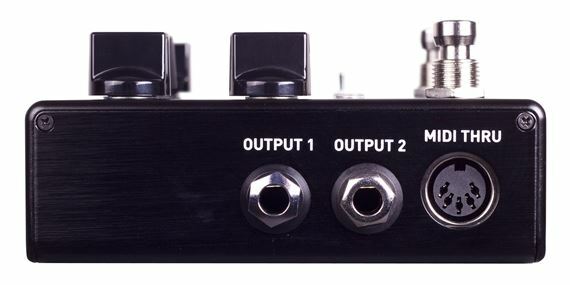 Compatible with all Source Audio expression pedals, the Hot Hand 3 Universal Wireless Effects Controller, and 3rd party 1/4 inch TRS (tip hot) expression pedals. External Switching Capabilities: Change delay presets with an external 1/4 inch TRS (tip hot) footswitch. Nemesis captures the full spectrum of delay effects, starting with a comprehensive collection of meticulously crafted vintage delay tones. The Source Audio engineering team spent over a year studying numerous iconic and sought after tape and bucket brigade delay units with a staunch dedication to identifying their every nuance and idiosyncrasy. The Nemesis’s Tape, Noise Tape and Slapback delays capture all the characteristic flutter, warmth, and color that give vintage tape delay machines like the Echoplex and Space Echo their classic charm. The Analog delay engine beautifully achieves the resonant peaks combined with high and low frequency decay that typifies classic bucket brigade delay pedals. The pedal’s Digital delay manufactures pristine, high definition repeats with or without filtering effects for a classic rack-system tone. The Nemesis features a 56-bit signal path with a 24-bit delay line that gives the Digital engine its immaculate, clean delays. Includes: 9v DC power supply (300mA / Negative Tip), 1/8 inch to 1/4 inch cable for Neuro Mobile App connection. USB port: Connects to Mac or Windows PC for MIDI control of firmware updates. Construction: Brushed anodized aluminum housing. Don't let the knobs fool you, this is a super easy to use and very intuitive delay! You can set it and forget it, or have up to 8 on board presets before Midi. Super clean sounding delays and lots of tweakability with the Nuero App, highly recommended! I’ve been using a strymon timeline for a long time now. Just decided to try source audio out. I love this pedal! Sounds are equally as good and easier to just switch and adjust delay types and parameters. Still learning but like this one so much more than my timeline! I could happily talk all day about why I love the Nemesis! There aren't many delay pedals I haven't owned at one point or another, I considered myself a collector or reverbs and delays, having a stereo pair for many of my favorites, such as the Canyon, Dispatch Master, Vapor Trail and ARP-87 just to name a small few. That all started to change when I got my first Nemesis ( I now own 2 with a 3rd to be added soon, Triple Delay madness anyone?) I began using the Neuro app to try and replicate other delay pedals that I had. When I was successful, I felt that I no longer "had" to have the replicated pedal, and I have thinned my collection of pedals almost to nothing but the nemesis for my delay solutions! I use my pedals for keys, VOX and foley sound design. I design for film, TV and video games. The Nemesis along with many other Source Audio One Series have pretty much taken over for me because of the versatility and ease of dialing in customs sounds and being able to experiment easily! The Source Audio Nemesis Delay makes jamming on my guitar amazing! There is so much that this pedal has to offer! It allows me to go beyond my creativity! Extremely proud that I chose this pedal! This pedal is really good, it's feature rich, you can look up some review videos on youtube, lots of controls, 2 outputs/inputs, usb, plugin your phone and open app for extra effects, save presets, tap tempo, etc... Overall great pedal! Built well, and great feature set. Haven’t delved deeper with it yet but pretty sure it will cover all the bases that I need it to. Currently using it for Chorus/Delay on my cleans and Digital Delay for leads. Great Delay pedal!